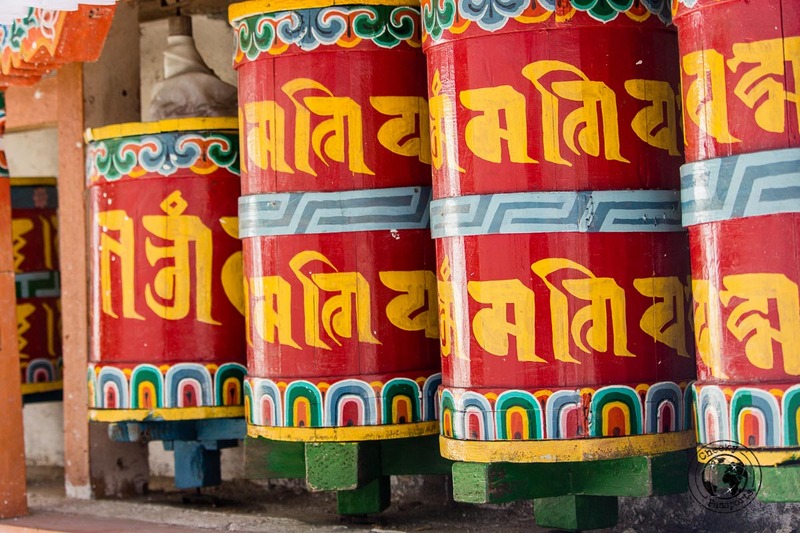 The Tawang Monastery is easily one of the most recognizable landmarks in Arunachal Pradesh. Indeed, the iconic structure is one of the reasons why many people are initially allured towards the wild, mountainous Indian state, although many travelers also very swiftly fall in love with Arunachal’s natural beauty. Besides the Tawang Monastery, other places to visit in Tawang, such as the spectacular Sela Pass, as well as breathtaking views, landscapes and attractions, make the town one of the best destinations to include in your Northeast India travel itinerary. 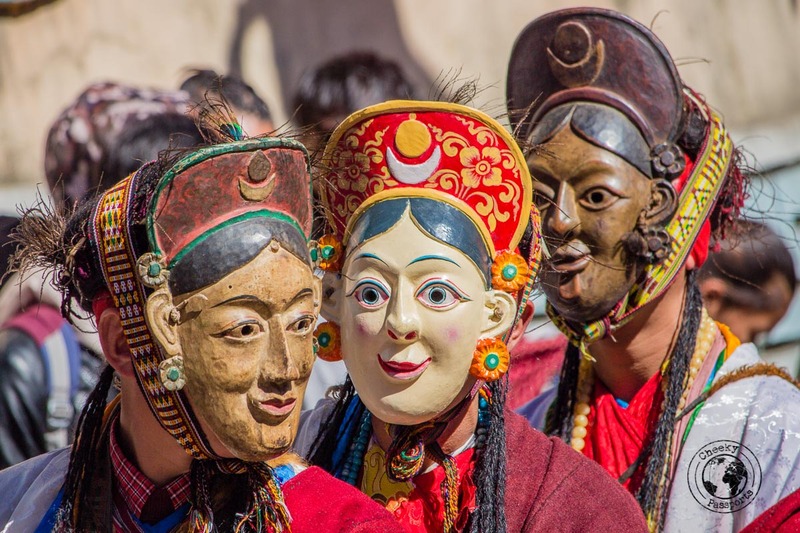 If you’re fortunate enough to be in Tawang during the Tawang Festival, you’re also in for a fantastic cultural experience! It is likely that Tawang was originally part of southern Tibet, inhabited by the Monpa people. It is now effectively part of India, but is claimed by China too, and the region is considered to be an area of conflict. The massive number of army posts and vehicles on the road to Tawang don’t go unnoticed! We felt totally safe during our time there, and experienced no evidence of conflict whatsoever, but be sure to conduct some research about the area for any recent developments, should you decide to visit. Having trouble booking flights to the Guwahati? Choose Kiwi! Need help planning your trip? Check out these trips offered by The Holiday Scout! We read in several guides that the best time to visit Tawang would be in summer from March to September because it would be too cold to do so in winter. We were in Tawang in October during the Tawang Festival, and we thought it was actually a perfect time for visiting the region. Local people told us that October to April is the best time to visit Tawang, and we definitely agree that October is a great month for being there – we wore t-shirts during the day, although it did get immensely cold at night! The Sela Pass is usually open throughout the year, but it is sometimes temporarily closed in winters during heavy snowfalls, so keep this in mind if you plan on visiting at this time of year! Be aware that foreigners need to apply for a Protected Area Permit (PAP) whilst Indian nationals need an Inner Line Permit (ILP) to visit Arunachal Pradesh. The permits can be procured independently but it is a lot easier to get an experienced agency such as Holiday Scout to apply for a foreigner PAP on your behalf, especially if you don’t have much time to spare. The PAP is valid for a maximum of 30 days and will also indicate which routes you are allowed to travel on within Arunachal Pradesh. They will be checked several times during your travels, so be sure to keep several copies of the permit handy since a copy is normally retained at immigration checkpoints and also during registration at your hotels/guesthouses. An abundance of beautiful places to visit in Tawang make the mountain town a great place to include on your Northeast India travel itinerary. 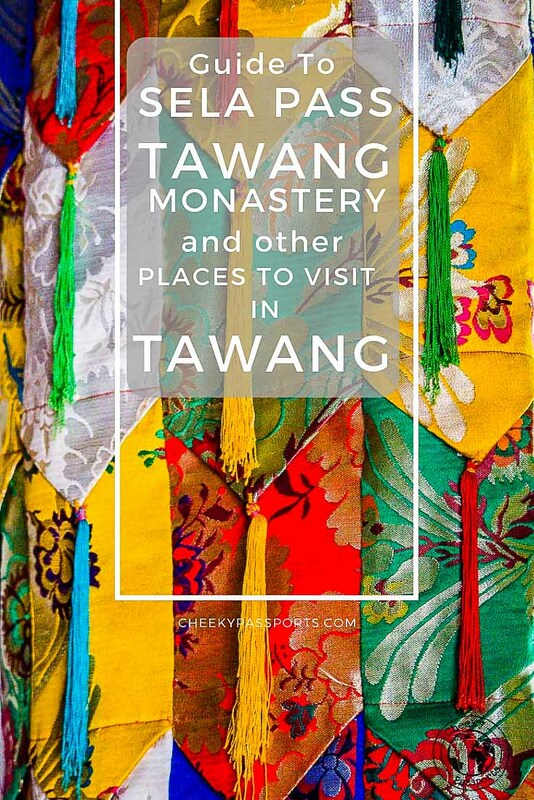 The district is famous for being home to the Tawang Monastery in Tawang town, and the Sela pass, but there are many more sights to see and things to do in Tawang as we hope to show you in this guide! 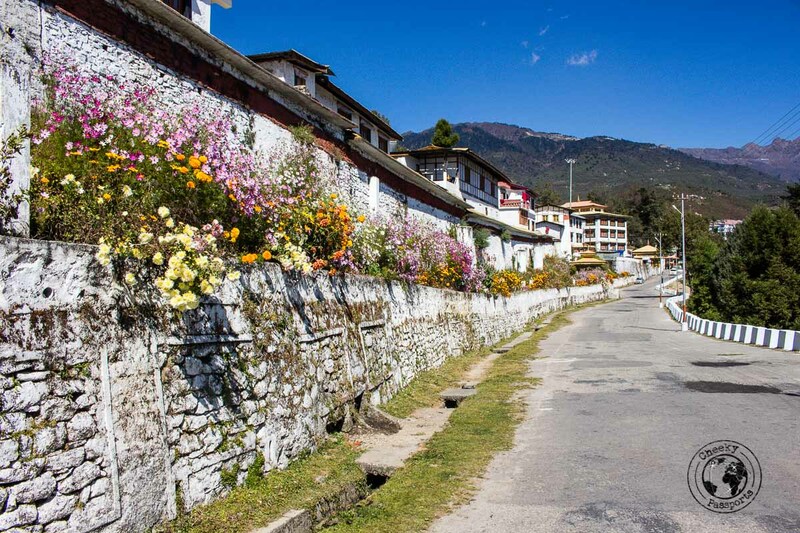 Some of the places to visit in Tawang are within walking distance of each other, but the best way of visiting them is by hiring a taxi for a half-day or a full-day tour around town. Remember that the sun sets early in Northeast India so you have to plan on finishing off your Tawang sightseeing tour at around 3.30-4pm. You can also hire a van or sumo for a day’s trip out of town to visit the attractions which are further afield. You can go to agencies around town to check whether they are offering any tours you can join. As we have stated in other articles, Arunachal Pradesh is not an easy region in which to travel independently. Should you require the services of an agency, we really recommend Holiday Scout, an agency experienced in Northeast India travel, which has helped us explore Dirang and Bomdila in addition to other destinations. 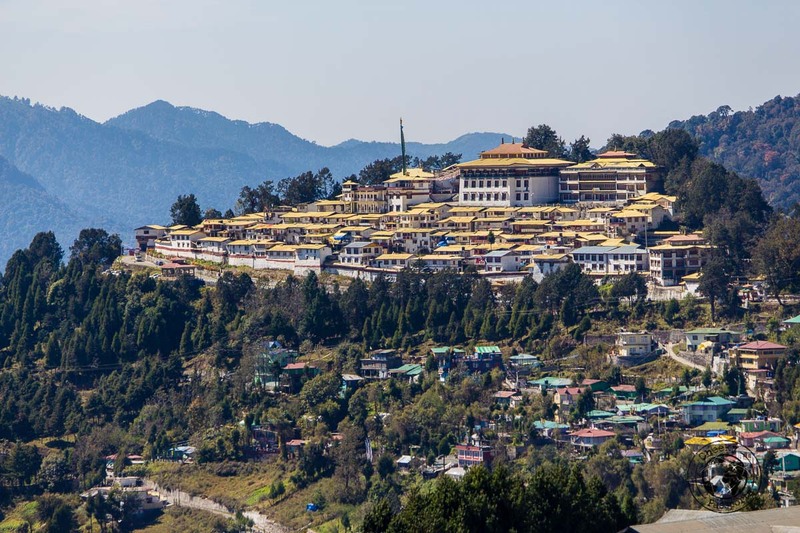 Tawang monastery is famous for being the largest monastery in India, and the second largest monastery in the world after the Potala Palace in Tibet, making it without doubt a very special place for Buddhists worldwide. We had the pleasure of being guided by one of the scholars at the monastery who was also the owner of the guesthouse we were staying at. The Tawang Monastery was founded by Merak Lama Lodre Gyamtso in 1680-1681 and offers fantastic views of the Tawang-Chu valley. The large assembly hall of the Tawang Monastery, also called the Dukhang, is the most imposing building in the complex. 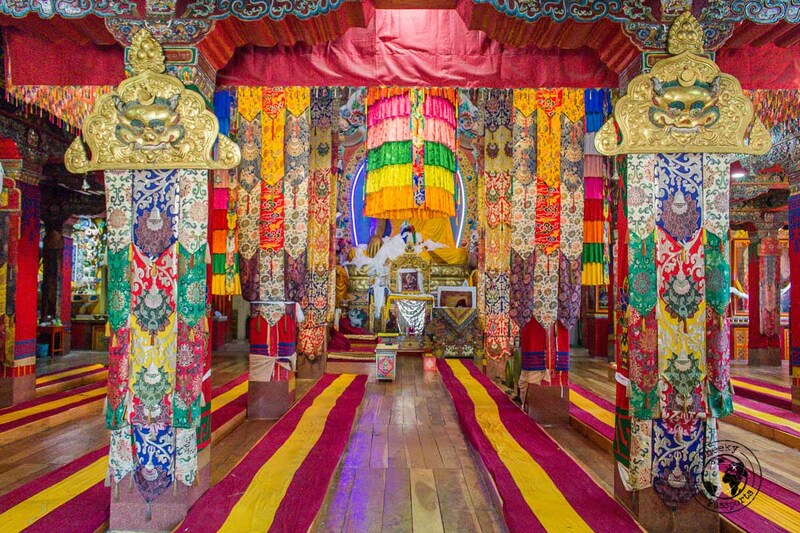 Also found within the complex is the very enjoyable Tawang Monastery Museum, showcasing photos of the present Dalai Lama throughout the years, as well as several exhibits and items related to the monastery’s history, such as ancient religious texts and instruments. The entrance fee to the museum is Rs 20 (€0.25). The Tawang Monastery is best accessed by private vehicle/ taxi, although it is possible to walk up from Tawang town if you’re up for it. 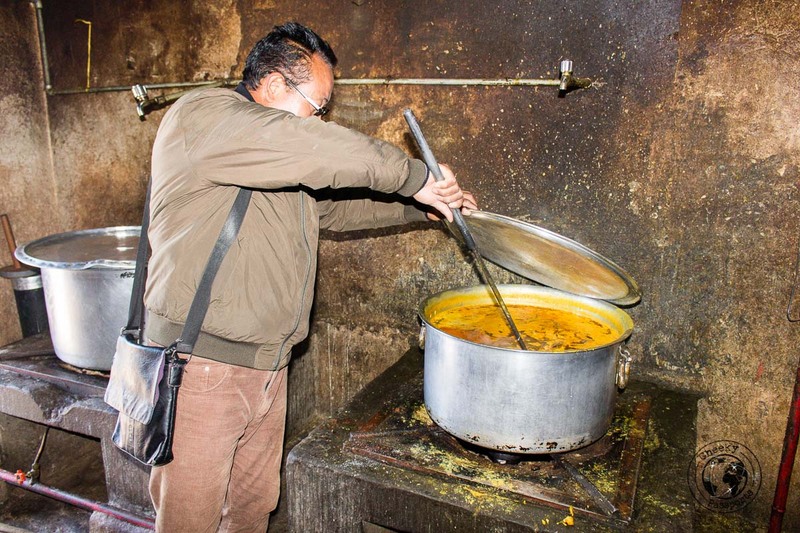 One of the best parts of the Tawang Monastery tour was a visit to the monastery kitchens where huge cauldrons of daal, vegetable dishes and butter tea were simmering on large stoves. Cooking for the hundreds of monks who call the Tawang Monastery their home every single day must be a huge feat! You will most likely visit the magnificent Sela Pass and Sela Lake, situated at 4170 metres altitude, on your way to Tawang. If you do not stop there during your journey, you can make arrangements to go to Sela Pass from Tawang, but this is unusual. The Indian Army maintains a stall at the pass where you can get some hot tea and snacks. The Sela Pass is of great importance for being the only connection between the district of Tawang and the rest of Arunachal Pradesh. 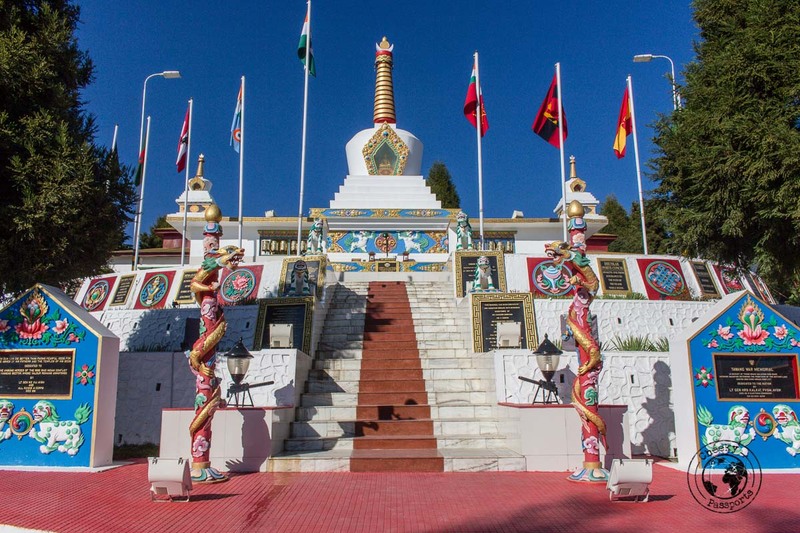 It is surrounded by breathtaking scenery and snow-capped mountains, which make the area one of the best places to visit in Tawang district (it is in fact the gateway to Tawang). If you’re riding a shared sumo, be sure to ask your driver to make a stop at Sela Pass, weather-permitting. You’re going to want to spend a few minutes staring at the mountains and taking in the fresh (very cold) mountain air! Don’t expect to stay there for a long time though if you’re on shared transportation! Ten minutes is all you will get before being called back with a barrage of honking, so be sure of making the most of them! Bumla Pass on the border with China is one of the most popular places to visit in Tawang especially for Indian nationals. Permission to visit the pass needs to be obtained from the Indian Army authorities in Tawang – this can be done the day before traveling to Bumla Pass. It is our understanding that foreigners are not permitted to go to Bumla Pass, although we did not try to obtain a permit ourselves since we preferred spending time watching the Tawang Festival instead of trying to go to Bumla Pass. The Indian Army serves free hot tea at the pass, which visitors will surely welcome in the cold weather! Located on the Bomdila or Dirang to Tawang road, within the Tawang district, these falls are impressive especially during the monsoon season. If you’re traveling by private vehicle, you can easily stop on the main road to Tawang and trek a few hundred meters to falls. If you’re traveling by shared sumo, this will not be possible, but you can come back (by taxi) and check out the falls once you’re in town. 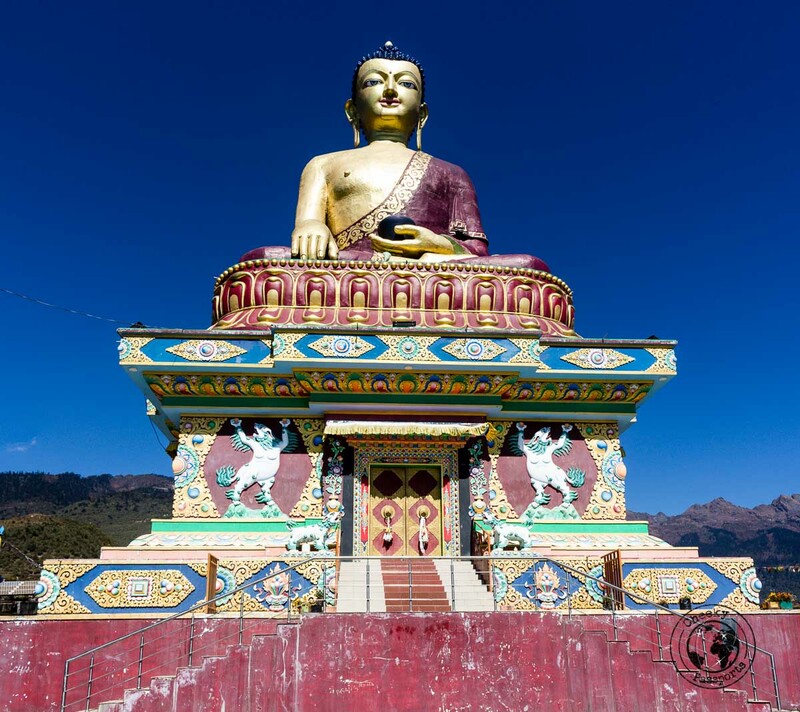 This is essentially a large statue of the seated Buddha which can be observed from different parts of Tawang. 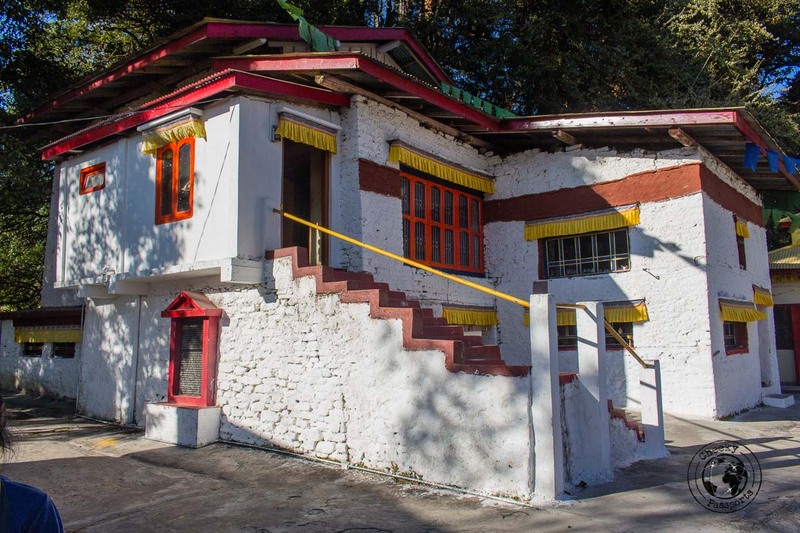 It is close to the Circuit House and not too far from the Old Market, and should be on your list of places to visit in Tawang since it is so easily accessible! The birth place of the sixth Dalai Lama is a few km out of town, very close to Tenzin Guesthouse where we were being hosted. The ancient monastery holds paintings of all the Dalai Lamas, which to us as non-Buddhists was pretty interesting since it gave us some insight about their succession. Rocks inside the monastery also hold imprints of the sixth Dalai Lama’s feet and head. Though in no way can this small monastery be compared with the grander Tawang Monastery, we thought it was one of the more relaxing places to visit in Tawang, and recommend a short visit if you’re in the area. This large lake is on the way to the Bumla Pass, so it can easily be visited on the same trip. It makes for a serene stop with stunning views during the bumpy ride. You can walk around the lake, although it is sometimes frozen over in winter. 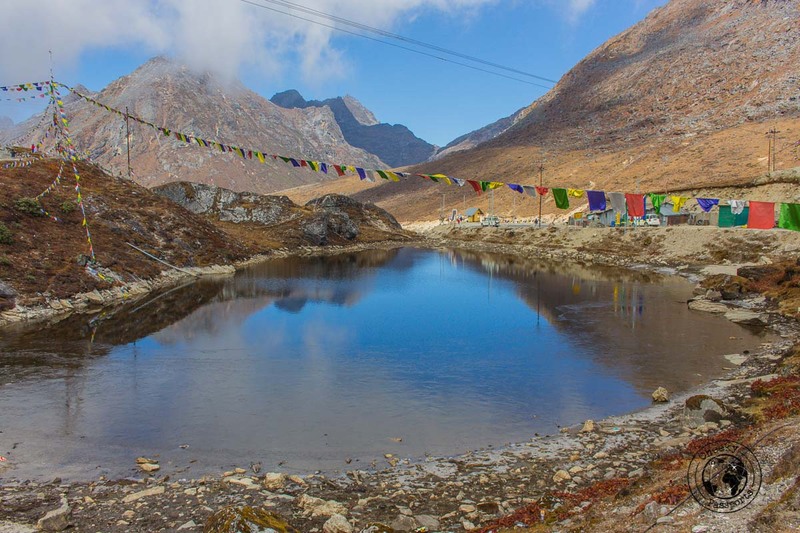 The lake is around 17 km out of Tawang, on the way to the Bumla pass and can be accessed via taxi. The Tawang War Memorial was built in memory of the Indian Army soldiers who lost their lives in the 1962 Indo-China war. The names of the soldiers who lost their lives in the war are inscribed on the granite plates, but it was being cleaned during out visit so we could only observe it from below. If you’re interested in war history and in the resistance struggle, this is one of the interesting places to visit in Tawang. The Army conducts a light and sound show in the evenings at the Tawang War Memorial. 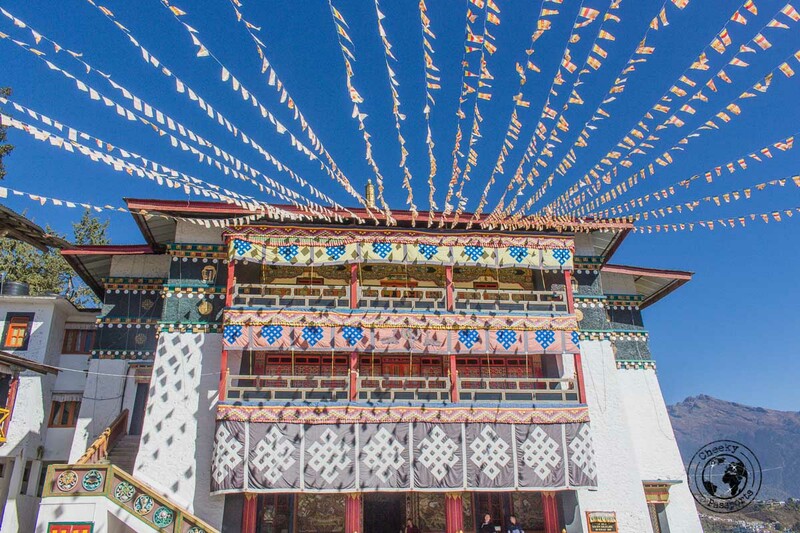 This little nuns’ monastery was in no way as impressive as the Tawang Monastery but is surely worth putting on your list of places to visit in Tawang. We were greeted at the entrance by one of the monastic nuns who showed us around and offered us butter tea, which we drank with some hesitation, having already been introduced to the churned beverage in Tibet and Bhutan, and having not quite acquired a taste for it. The monastery is the oldest female monastery in Tawang and is located about 12 km out of Tawang town. A taxi can take you up to the monastery. 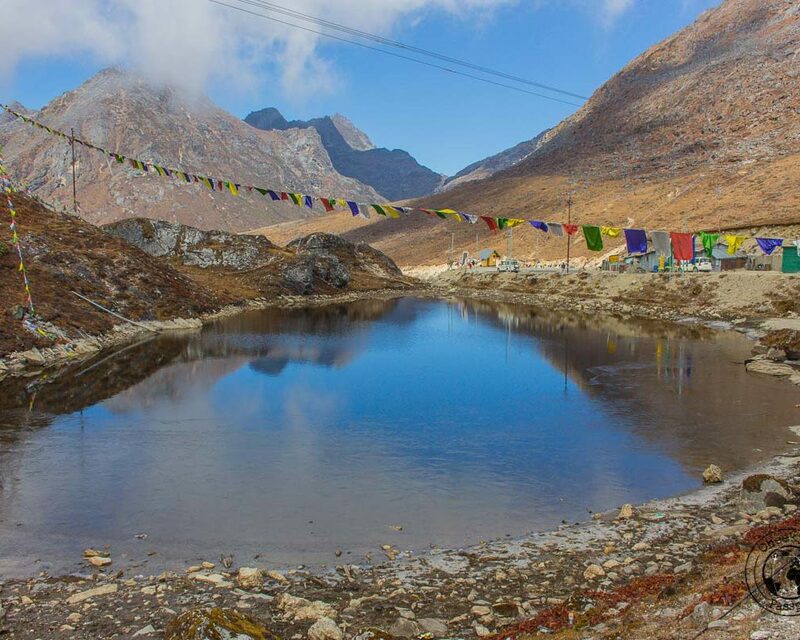 Located about 30 km out of Tawang town, this is another beautiful lake you can stop at on the way to the Bumla Pass. It is said to have been formed by a flash flood after an earthquake, and is commonly called Madhuri after a Bollywood movie starring the actress Madhuri Dixit was shot here. The lake is surrounded by mountains and valleys, and walking around the area is the best way of taking in the breathtaking scenery. 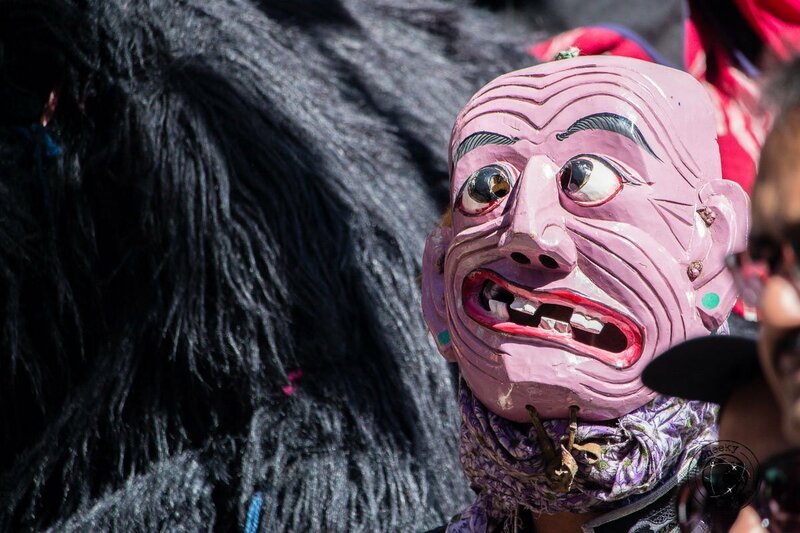 We were lucky enough to experience the three-day festival during our time in Tawang. Our visit coincided precisely with the festival days! Festival period is a rather busy time in Tawang and in fact many of the sumos going from Dirang to Tawang were unusually full on the day we chose to travel, because of all the people traveling to the Tawang Festival from other areas. Luckily, we managed to get on a sumo going from Bomdila to Tawang (also passing by Dirang) instead! 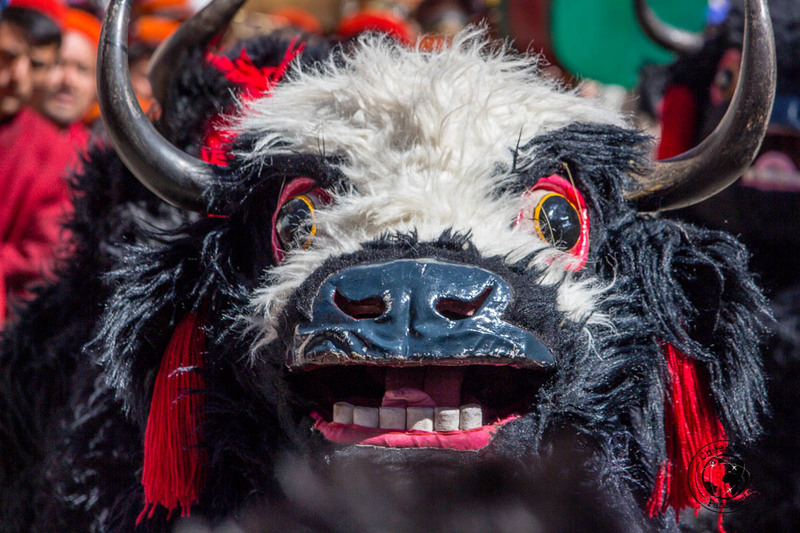 Experiencing the Tawang Festival was one of our highlights of all the things to do in Tawang! 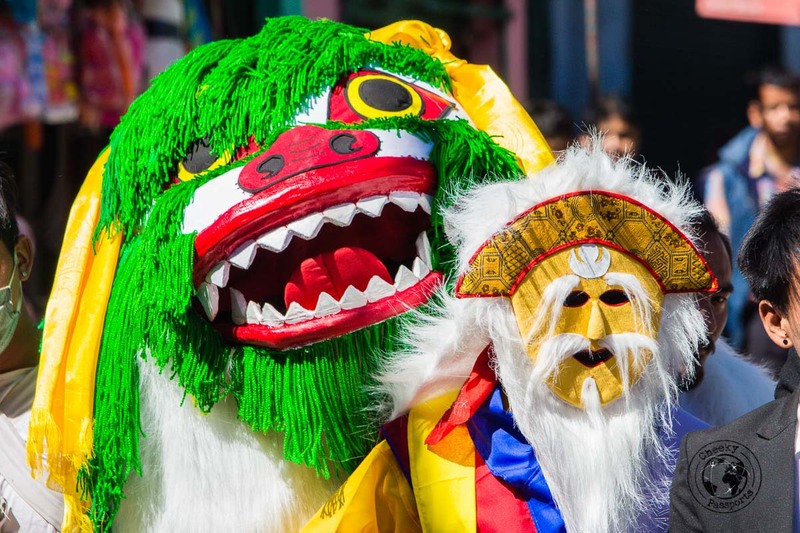 During the day, representatives from different parts of India and other Himalayan countries paraded around in traditional and carnival costumes in the Old Market area of Tawang, as spectators cheered on with lots of enthusiasm! The festivities were highlighted by a very heavy army presence which however did not hamper the general mood. The sight of so much army personnel actually seems to be a very usual situation in Tawang! Many of the soldiers even stopped to smile, take selfies and chat with us and ask the usual ‘where do you come from’ and other related questions! 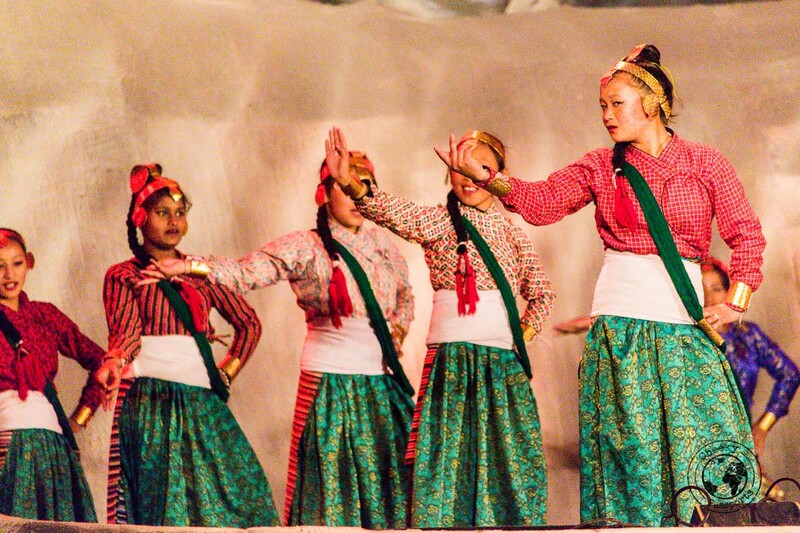 The evenings were marked by shows and performances set up on an outdoor stage in another area of Tawang town. Troupes from different tribal villages in Tawang, as well as performers from regions as far away as Uttar Pradesh, Bhutan and Nepal, put up some fantastic traditional dance performances, which we would have enjoyed more had we not been feeling so cold! Thankfully a portion of aloo tikki and chai from one of the food stalls set up outside the stage, raised our body temperatures for a while! 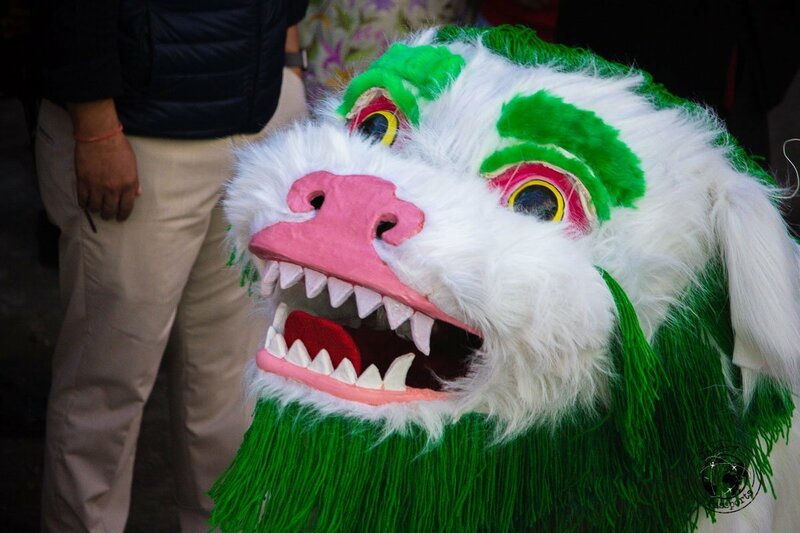 If you’re planning on going to the Tawang Festival evening performances, be sure to take plenty of warm clothes including thick jackets, gloves, beanies and thermal socks! Temperatures were down to almost freezing! If you’re coming to Tawang after having visited other places in India, you will realize that the food here is very different to the heavier, spicier food in mainland India. 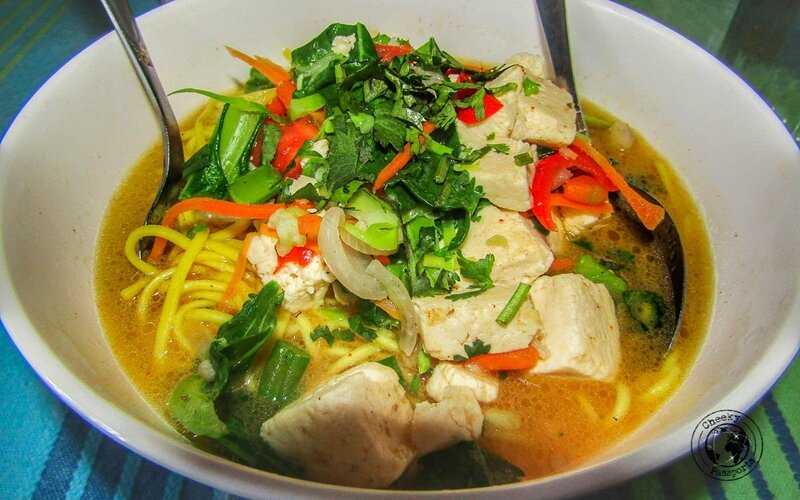 Thukpas and thenthuk, both very common in Tibetan cuisine, replace the heavy curries found in other regions of the country, whilst momos can be found at every street corner. 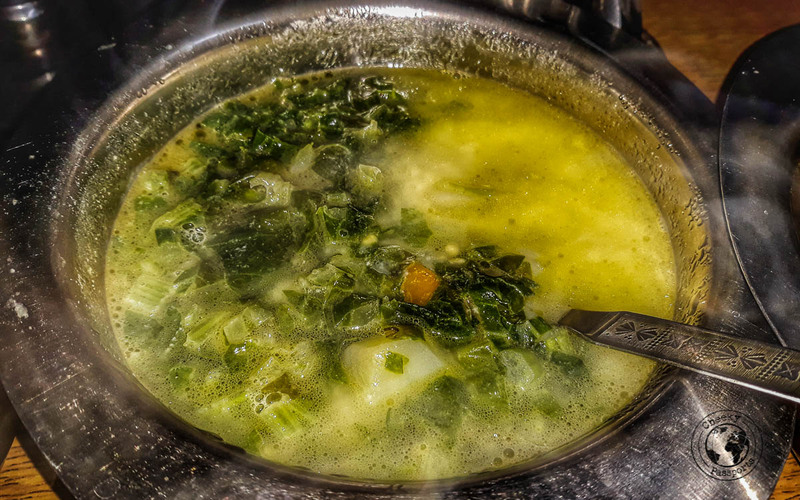 Delicious traditional Monpa food such as yak cheese curries, as well as meats cooked with bamboo shoots, and boiled vegetable dishes are all the rage in Tawang. Our guesthouse cooked up some wonderful dishes, with local rice and meats, but we also had lunch a couple of times at the Hotel Mon Valley, which served tasty authentic food, but had incredibly poor service. The Dragon which is allegedly the best restaurant in Tawang, was closed for refurbishment during our stay. The Old Market area in Tawang is easily the liveliest and most charming part of all the town. One main road, flanked on either side by clothes shops, eateries, and all kinds of outlets catering mostly to local needs, makes up most of the Old Market. The area is very small, so walking along won’t take much of your time, but it should easily be on your list of things to do in Tawang! We can only state that the road to Tawang was one of the most beautiful and scenic that we have ever experienced, despite the gross discomfort of traveling in a packed sumo. We thought that the first portion of the road leading up to Bomdila or Dirang was already exceptionally scenic, but at that point we had no idea of the beauty that was yet to come. The road from Bomdila to Tawang (or from Dirang to Tawang) is tough to travel through. It is in extremely bad shape and if you’re travelling by sumo, you will likely feel pain in parts of your body which you didn’t know existed (although it is NOT the worst road we experienced in Arunachal Pradesh either – that award goes to the road from Ziro to Aalo, via Daporijo). The road from Bomdila to Tawang (or Dirang to Tawang which goes along the same route, as there’s only one single road going to Tawang) cuts relentlessly through high mountains for hours at a stretch. Lush vegetation changes to smaller and scarcer shrubs, whilst cold starts to permeate through the vehicle’s crevices as the Sela Pass is approached. The views from several points of the road are nothing short of spectacular, but if you are traveling in a shared sumo, photo stops will not be entertained. Our sumo driver did stop for a few minutes at Sela Pass whilst all the passengers, ourselves included, snapped as many pictures as we could before giving in to the cold and rushing back inside the sumo for some comfort. On the way back from Tawang to Bomdila, the driver just sped past and did not stop! If you are traveling by private vehicle, you can travel all the way from Guwahati to Tawang at your own leisure, making stops on the way. It is highly recommended to break up the journey at Bomdila or Dirang in the West Kameng district, and even spend a few days exploring both destinations! 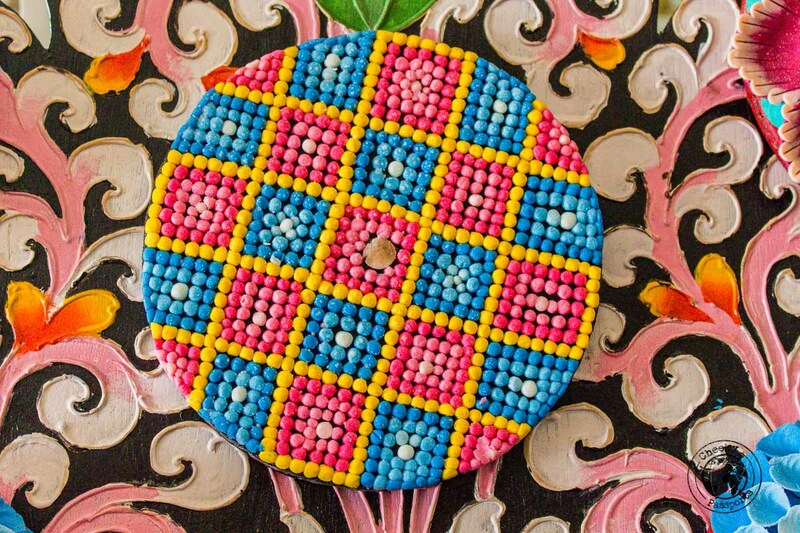 Here is our guide on what to do in Dirang and Bomdila. A private taxi for the journey will cost something like Rs 4000-4500 (about €50-57)/day. If you’re traveling from Guwahati to Tawang by shared sumo, you will probably need to take a sumo from Guwahati to Bomdila or Dirang (for about Rs 700 or €8.75), and then get a sumo from Bomdila to Tawang, or from Dirang to Tawang (depending on your stop) the following day. We did see the journey from Guwhati to Tawang being sold as a single ticket. We’re not sure whether sumos in fact do make the journey in one day, but be aware that if this were so, it would probably involve around 18 hours of very uncomfortable commuting on bad roads! You can also travel by ASTC bus from Guwahati to Tezpur, and take a sumo from Tezpur to Tawang the following day. Note that, as explained above, foreigners need to be in possession of a PAP and Indian nationals of an ILP to cross the Arunachal Pradesh border! Sumos run from Tezpur to Tawang with the journey taking up most of your day. The cost of a seat in the sumo running from Tezpur to Tawang is of around Rs 750 (about €9.50). Sumos from Bomdila to Tawang can be booked from the sumo counter in town. The cost is Rs 500 (about €6.30) per seat. The journey is about 8 hours long and very uncomfortable, though as mentioned above, really spectacular! 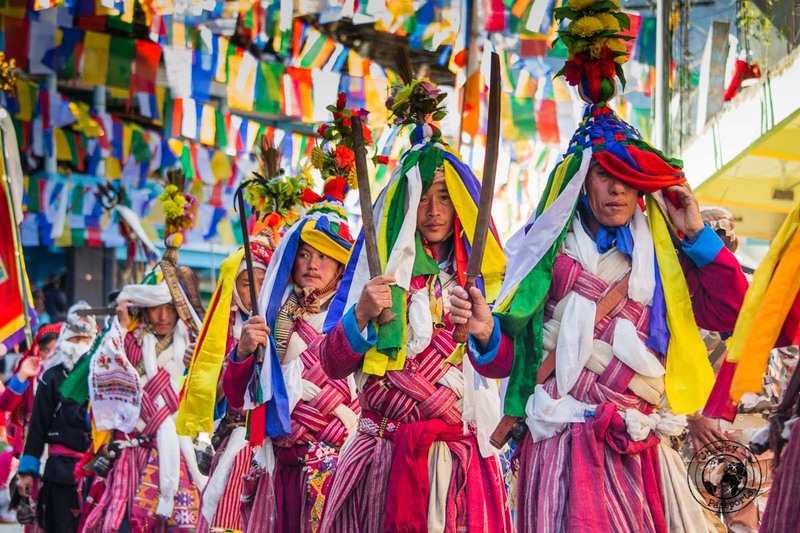 Be sure to book ahead during busy periods such as the Tawang Festival period! Sumos running from Tawang back to Bomdila or Dirang can be booked from the sumo counters in the market area of Tawang. Sumos from Dirang to Tawang can be booked from the sumo counters in Dirang town. The price of a seat in a shared sumo from Dirang to Tawang is probably the same as, or slightly less than that for the Bomdila to Tawang journey. Dirang is about an hour’s drive away from Bomdila on the road towards Tawang. Although Tawang is one of the most visited destinations in Arunachal Pradesh, the tourism infrastructure is still not very developed, and Tawang hotels and other types of accommodation are in poor supply. We were hosted at Tenzin Guesthouse during our stay in Tawang, in a large room with a private bathroom (including hot water) which was exceptionally comfortable. A heater was provided too! Tenzin Guesthouse is the perfect choice of accommodation if you’re traveling by private vehicle, since it’s a few km out of town. The guesthouse is located on the main road to Tawang town, so if you’re traveling by shared transport, ask the sumo to drop you off or pick you up at the guesthouse. However, getting to town may not be so easy, although we managed to find a ride up every time we needed one. Walking down, on the other hand, was pretty enjoyable! The food at Tenzin Guesthouse was mouth-watering and our request for ‘local food’ at breakfast and dinner time, meant that we got to feast on some amazing yak cheese-flavoured curries, tingmo, and vegetable dishes. If you’re looking for Tawang hotels and homestays, we happily recommend Tenzin Guesthouse as long as you have your own transportation, or don’t mind staying a few km out of the main town, which by the way is remarkably peaceful! We would like thank Holiday Scout for sponsoring our accommodation in Tawang. Opinions expressed in this post are, as always, our own. I love the photographs in this write-up! The colors of all the costumes and buildings are just stunning. 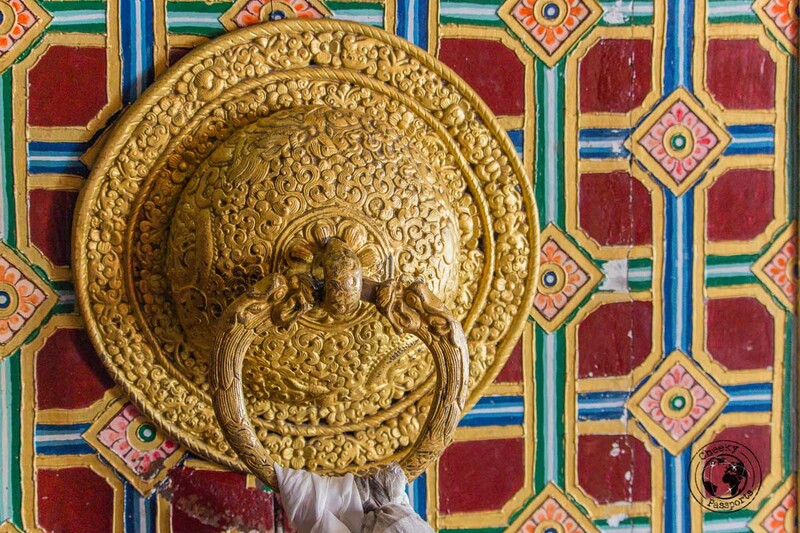 I didn’t realize that Tawang was the second largest monastery in the world… pretty cool! Also, not being able to visit the second pass you mentioned (started with a ‘B’) is kind of a bummer. I love mountains, so I’d be keen to travel that road someday!